The three Soholm pottery pieces featured here are a cylindrical blue vase (marked Denmark Stentoj 3314 and 3317, a factory “second”), a tapered blue bottle-vase (marked Denmark Stentoj 3313 on the bottom), and small blue jug (marked Denmark Stentoj 3310). Soholm (Søhoelm) was a ceramic factory on Bornholm (a Danish Island in the Baltic Sea). The factory was founded in 1835 and closed in 1996. From what we’ve gathered, these stoneware pieces (Stentoj means stoneware) are designed by Maria Philippi as part of a 1963 series called Nordlys (Northern Lights). The series features a raised pinwheel with brown accents. The Soholm pottery in this pots and plants piece is placed in front of our ever-spreading patch of Arisarum proboscideum. The patch started as a little clump over 10 years ago, surviving a house remodel, a fence replacement and much trampling. The patch is in a north exposure location with no direct sunlight, evenly moist soil, and otherwise no special care. In the photos you can see that we have hazelnut shells for groundcover. The common name of A. proboscideum is Mouse Tail Plant and one look at the inflorescence gives a clue why. The inflorescence (usually hiding under the sagittate leaves) have very long and tapered, maroon-colored spathes “suggestive of the tail and hindquarters of a mouse.”* The spathe is a large bract or several bracts subtending and enclosing the actual flowers. Cutting away part of one inflorescence reveals the spadix - a spike with the actual flowers on it, female at the bottom, followed by some male flowers further up. At the tip of the spadix is the part called the appendix which for A. proboscideum is spongy and white. 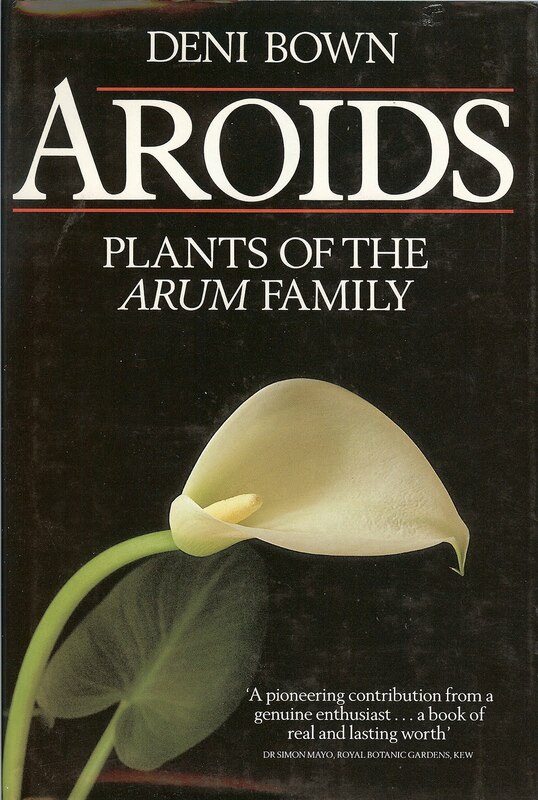 In the Deni Bown book Aroids: Plants of the Arum Family (1988) on page 69 in the section called “The aroid that thinks it’s a mushroom” we find out more about the spongy appendix. Once deceived, the gnats lay eggs in the spongy part and then end up in the base, transferring pollen carried from another inflorescence. A. proboscideum is a member of the Araceae family - or Arum family - one of our favorite plant families. Alas, A. proboscideum is native to Spain and Italy. For the etymology of this binomial name see Arisarum probscideum - Mouse Tail Arum. For more Soholm pottery examples, see Soholm Blue Series and Helleborus or the full pots and plants page.